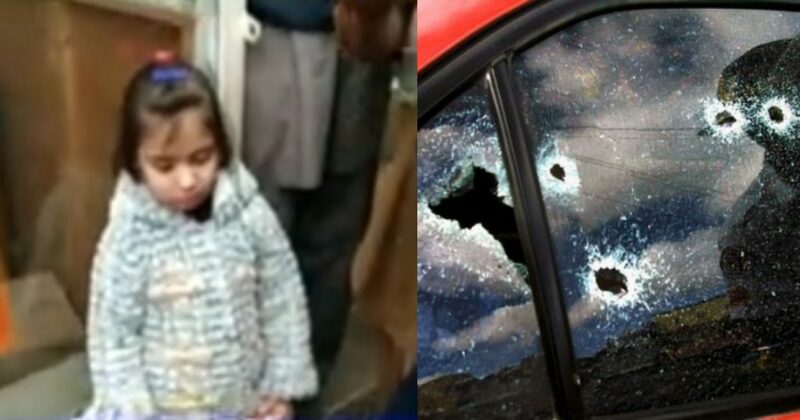 This Is What Really Happened In Sahiwal Where CTD Opened Fire On A Family Car And The Details Are Shocking! Unfortunately, last year we heard stories where many innocent people lost their lives due to the negligence of police. One such case was of the innocent Amal, when the poor girl lost her life due to the carelessness of police. Amal, along with her sister and parents was en route to attend her first concert. On their way to the concert, their car stopped at the signal and they were approached by the muggers. They asked both the parents for their belongings and they quickly handed them over everything. But just as they were crossing the signal, they heard some noise followed by some gunshots, and when the parents turned back to see if their girls are doing fine; but to their surprise, little Amal was hit by an astray bullet. Much later, they got to know that the astray bullet that hit their daughter was of police, which targetted the mugger but accidentally hit their car. Who knew that the history would repeat itself. Just recently in Sahiwal, four innocent people lost their lives while their kids were sitting at the back seat. CTD (counter-terrorism dept) open fired at GT road in Sahiwal and this car was hit multiple time; in the result, the parents of these kids and their elder sister lost their lives! These kids survived and the poor souls were dragged to police and even were asked the disturbing questions by the reporters! It is indeed saddening to see all this! The kids must be disturbed severely! In sahiwal CTD killed 4 people publicly……………………now CM should resign or not ? If it was really the case as stated by CTD, was it a sane decision to do the operation when they were along with their kids! #Sahiwal: #CTD claimed that Zeeshan local commander of Ban Outfit Daesh, & 3 others, including two women, were killed in an operation near #GTRoad. Do you have anything to add to the story, do you think CTD is telling the truth? Let us know in the comments below.